We have only ONE company policy. You must be satisfied with our products and service. All the things you use everyday to run a business. 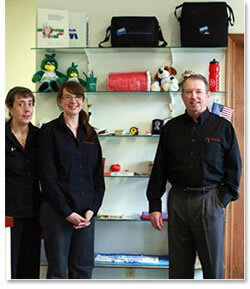 One source for both printing & promotional products. Large range of quantities. We've printed 100 proposal forms for local repair shops or 65,000 T-shirts for a poultry promotion. Copies - small or large quantities. Mailing & mailing list service. FREE ideas, suggestions & quotations. All prices are negotiable to get your project in under budget. FREE samples on most products. Free design/art on most full color printing orders.